"Mark Twain's Immortal Classic !" 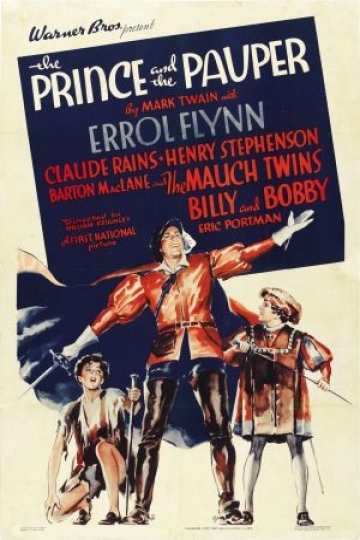 Errol Flynn stars in this rousing adaptation of Mark Twain's tale of a young 16th-century prince who trades places with a look-alike peasant. Claude Rains co-stars in this enjoyable adventure. The Prince and the Pauper is currently available to watch and stream, buy on demand at Amazon, Vudu, Google Play, FandangoNow, iTunes, YouTube VOD online.